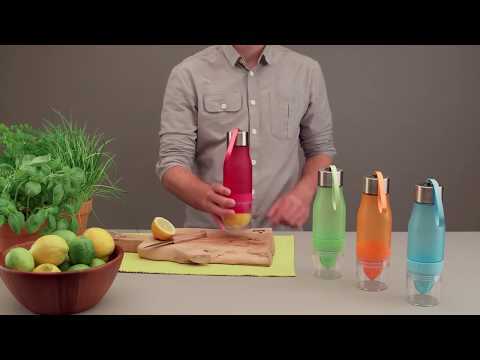 Multi-purpose: Used as juicer, fruit infuser and water bottle. Perfect for travel, sports, gym, office and home! Leak Proof: When open the bottle, you need check the rubber ring on the cap has a good fit. Press the seal down, which provieds leak proof. There are three rubber rings to protect the water from leaking. Easy Infusing: We find that a 1/2 filled sleeve will last for 2-3 infuse refills. Enough to meet your daily hydration needs.